If you want to remind yourself how fast the world of business is changing, try posting a letter. I went to a post office in central Sydney a couple of months ago to send a parcel overseas and was greeted by a woman with an iPad, who asked how my day was going and whether she could help me. We avoided the queue, she helped me find the right Postpak, scanned it and then I paid and walked out. She was the post office “concierge”. A couple of blocks away, Tesla’s new showroom in Martin Place takes tyre-kicking away from the dusty suburban car yards right into the financial heart of the city – where its customers work. Tesla is a stone’s throw from the Apple store – the tech company that is transforming the way organisations are serving their customers, with its “genius bar” help desk, roving sales staff armed with iPads, iPhones and Apple watches and infectious employee enthusiasm. Apple is the inspiration for the Suncorp Group’s new “concept store”, which will be a bank branch without teller desks, with a children’s play area and a zone where customers will be served drinks. Suncorp staff will take their laptops and move around the premises, within the Westfield Parramatta complex in Western Sydney. When customer service goes through this kind of revolution, leaders have to undergo their own transformation. If they have been accustomed to telling people what to do, they must now adapt to managing staff who have come out from behind their counters and are operating more like Apple employees and taking the initiative to solve customer problems. Not only are they acting differently, but sometimes the employees are different kinds of people to the ones a leader has led in the past. They may, for example, have far more technical expertise than their manager, whose former staff got their answers from the “boss”. So if the leader’s role isn’t to give their people the answers, what is it? These highly-skilled and independent-thinking employees have a good sense of their own value. If their employers don’t understand what motivates them – different working conditions or more holidays perhaps – they feel confident enough to just take their labour elsewhere. So, managing these people is sometimes an exercise of learning to say “yes” and then working out the “how” and the “why”. Or leaving it to them to tell you. You have to think about what is possible. This is the approach taken by Telstra and the ASX with their “All Roles Flex” policies which mean that every job can be done flexibly by default – unless there is an unassailable argument against it. When someone wants to do their work in fewer hours, different hours, or from a different location, it is up to the employee and manager to work out how it can be done. So, when employees are so empowered, what kind of leadership is required? Firstly, it must be strong leadership because we are not talking about acquiescing, rather collaboration to solution. If a request cannot be granted, leaders must be able to explain why it can’t be done for legitimate reasons and explore other options. A flat “no” is just no longer acceptable or appropriate. They must role model behaviours for their employees, which means being sensitive to their own and their team’s anxieties and taking time to coach people. No-one has all the answers, so you also need to have a level of comfort with ambiguity. Leaders can hone these skills by getting their own coaching and mentoring. Why not make 2017 the year you commit to being a 21st Century leader! This might be outside your comfort zone and challenge your model of the world, however disruption is the new way of life and better to embrace it than be left behind. If you want to get a head start during the holidays, try reading “New Women, New Men, New Economy” by Narelle Hopper & Rodin Genoff and “Leadership 2030 – The Six Megatrends You Need To Understand To Lead Your Company Into The Future” by Georg Vielmetter & Yvonne Sell. 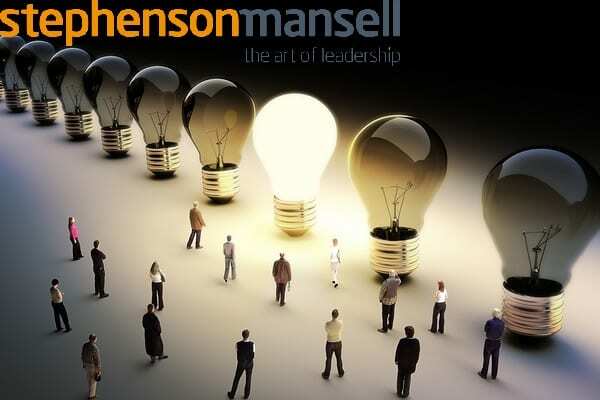 About the author: Joe Fischer, Executive Director, Stephenson Mansell Group and Chief Executive Officer, Centre for Integral Leadership Asia, Stephenson Mansell’s Group’s Asian business. 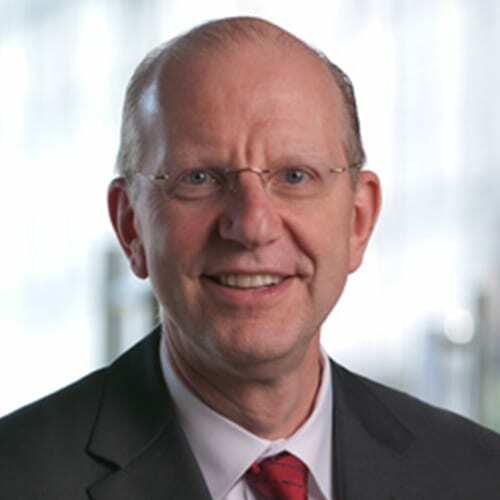 Joe Fischer is an experienced international Executive and Company Director, Executive Coach, Mentor and Facilitator. For much of his career, Joe held senior executive positions with two iconic global corporations – Nestle, the world’s largest food company, and the P&O Group, at the time one of the world’s largest conglomerates with interests across almost every industry sector. Joe has worked in Australia, Switzerland, London, Dubai and Asia. Joe has partnered with CEOs, Directors, senior executives and business owners and their teams on all aspects of human capital practice. Joe joined Stephenson Mansell Group in 2007 and is an Equity Partner in the firm.